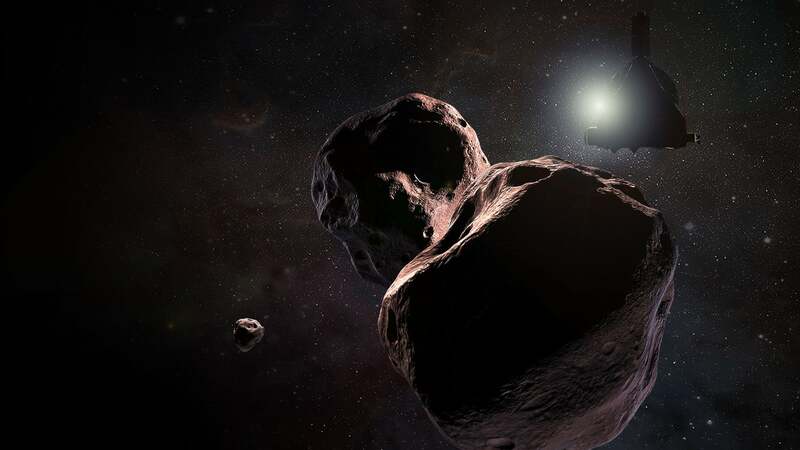 The year 2019 will start with a bang as NASA’s New Horizons visits Ultima Thule, a mysterious Kuiper Belt object located 4 billion miles (6.5 billion kilometres) from the Sun. At 5:33 am UK time on 1 January, the spacecraft will zoom past Ultima Thule at speeds reaching 31,500 miles per hour (50,700 kilometres per hour), snapping as many pics as possible at resolutions between 98 to 230 feet (30 to 70 metres) per pixel. The historic close approach to Ultima Thule, also known as 2014 MU69, will be the first ever flyby of a Kuiper Belt Object. During the flyby, we’ll learn if Ultima Thule is a close binary system, a contact binary (in which two pieces are touching), or something else entirely. The object, or objects, is around 19 miles in diameter (30 kilometres) and irregularly shaped. Using its many onboard instruments, New Horizons will also map the object’s surface geology to learn how it formed, measure its surface temperature, search for signs of comet-like activity (like melting ice), among other mission objectives. The Moon should receive at least a pair of new robotic visitors in 2019. China’s Chang’e 4 lander and rover, which launched on December 8, 2018, are expected to reach the surface of far side of the Moon on January 3, or possibly earlier. The landing site is the 110-mile-wide (180 kilometres) Von Kármán crater, a lunar impact crater in the southern hemisphere. Because it’ll be on the Moon’s far side, CE-4 will communicate with Earth via China’s Queqiao satellite, which launched in May. 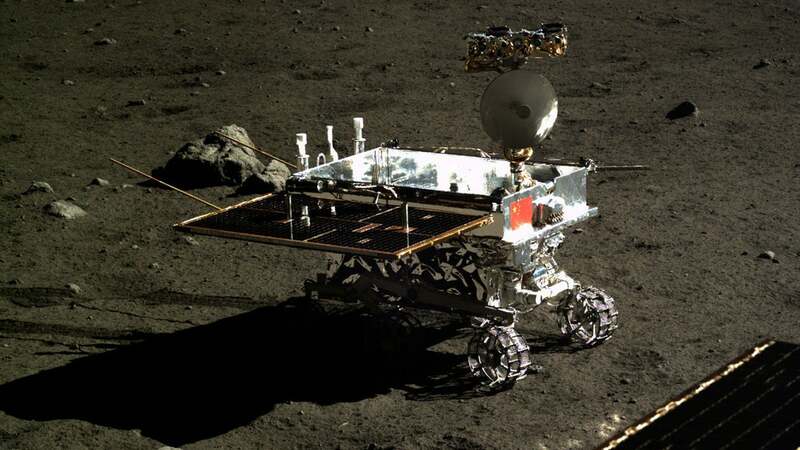 If successful, the mission will involve the first soft landing and inspection of the Moon’s far side, according to China’s National Defence Science and Technology Bureau. 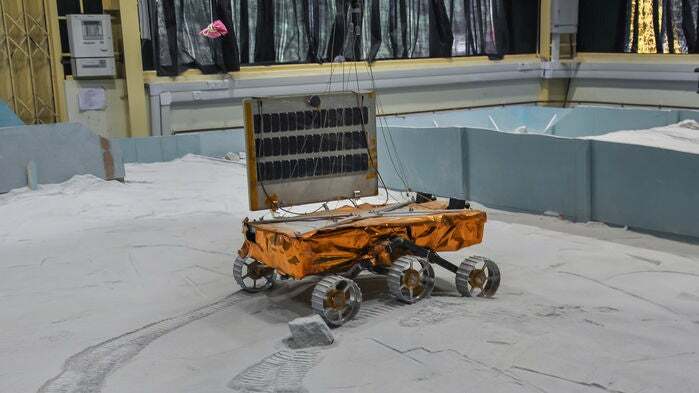 The lander and six-wheeled rover will measure the temperature of the lunar surface, analyse lunar rocks and dust, and study cosmic rays, among other things. The mission will also determine whether the region is quiet enough from human technological activity to build a deep-space radio telescope. The mission should last for at least three months. At some point during the second half of 2019, India will launch its own rover to the Moon as part of the Indian Space Research Organisation’s GSLV-F10/Chandrayaan-2 Mission. A six-wheeled rover will move around a landing site near the Moon’s south pole, observing the lunar surface and transmitting data back to the Earth. 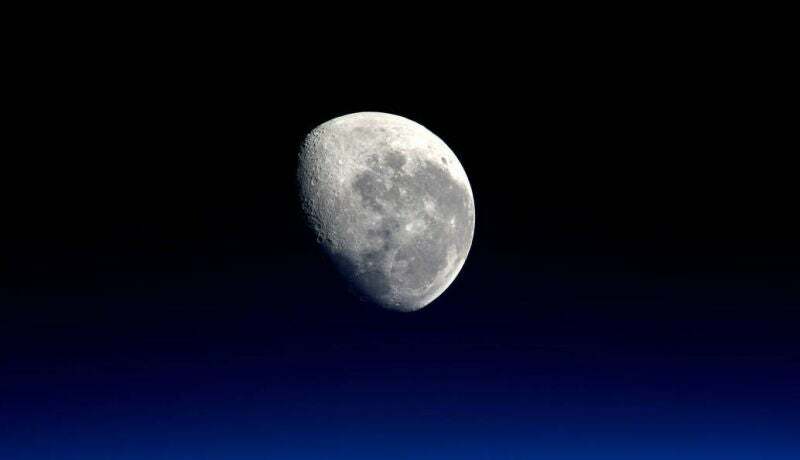 Above it, the Chandrayaan-2 satellite will collect scientific information about lunar topography, minerals, and the moon’s practically non-existent atmosphere, while also searching for signs of water-ice. And who knows, perhaps a team participating in the Lunar XPrize will finally land a rover on the Moon, but we’ll believe it when we see it. 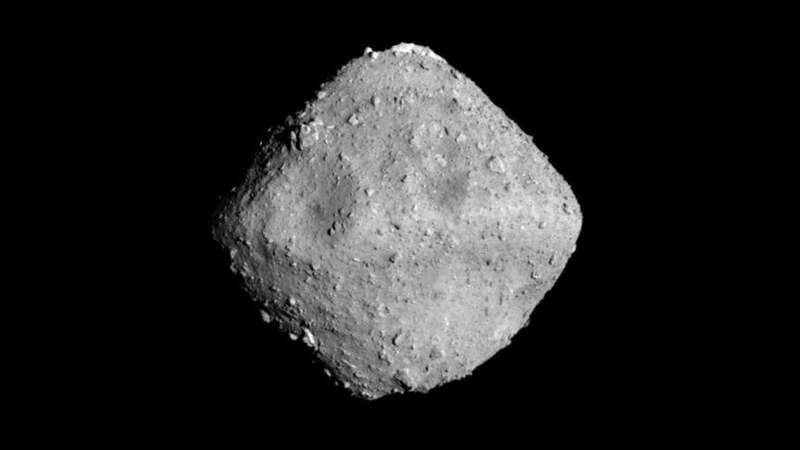 At some point in early 2019, hopefully in late January, Japan’s Hayabusa2 will extract surface samples from the Ryugu asteroid. JAXA is still trying to find the perfect spot for Hayabusa2 to do its work, as flat regions on this space rock are proving hard to come by. In December 2019, the probe will take its last samples and begin its journey back to Earth. Should all go well, it’ll mark the first time a probe has extracted samples from an asteroid and returned them for analysis. NASA’s contract with Russia ends in April, so it’s imperative that the space agency find another means to deliver its astronauts to space. The private sector is on the case, and 2019 promises to be the year in which the United States finally restores its ability access the International Space Station on its own—something it hasn’t been able to do since the Space Shuttle program. On 17 January, SpaceX, in cooperation with NASA’s commercial crew program, is set to use a Falcon 9 rocket to launch an uncrewed Crew Dragon spacecraft to the ISS. Should this test go well, a crewed mission could happen as early as 18 June; NASA astronauts Doug Hurley and Bob Behnken have been tapped for this mission. In March, a United Launch Alliance Atlas 5 rocket will launch Boeing’s first CST-100 Starliner—also uncrewed—to the ISS. 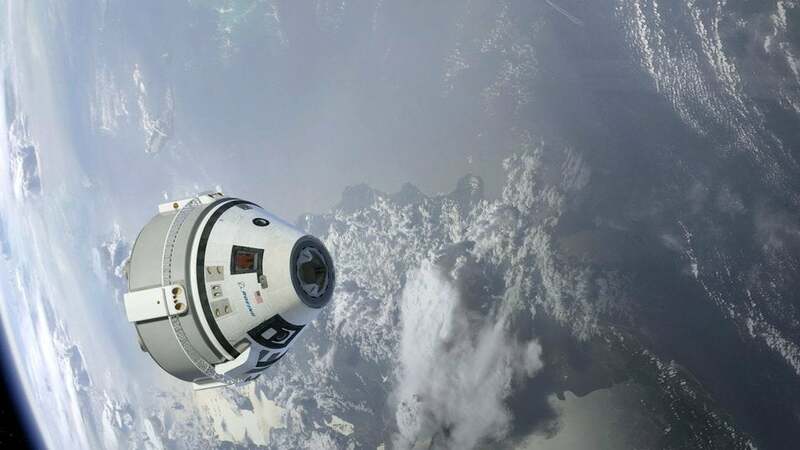 A subsequent crewed test, with Boeing astronaut Chris Ferguson and NASA astronauts Eric Boe and Nicole Mann, could happen in August, according to NASA. 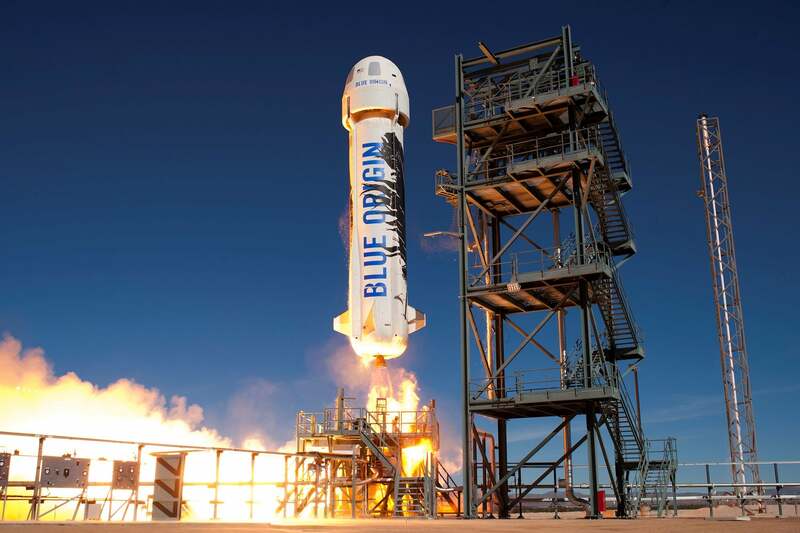 Jeff Bezos’s space firm Blue Origin is also expected to conduct both crewed and uncrewed missions in 2019 with its New Shepard suborbital vehicle, with dates still to be determined. 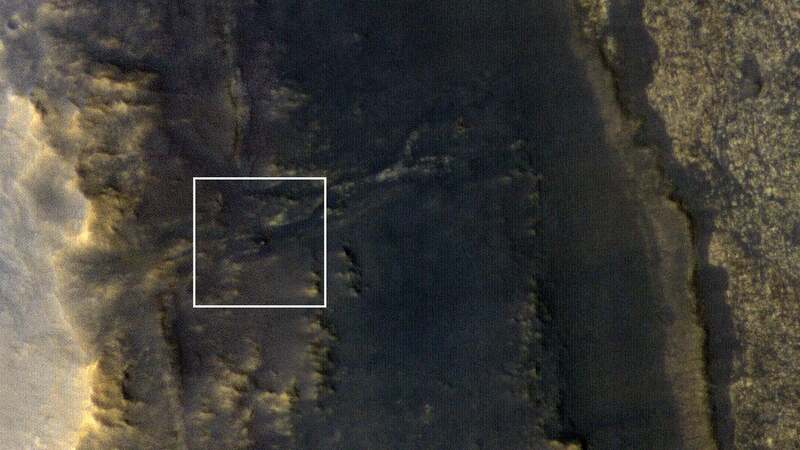 Opportunity Rover, won’t you please call home? NASA’s Opportunity rover has been silent since 10 June, when a global-scale dust storm knocked the probe into a hibernation mode from which it hasn’t been able to awake. Mission controllers have been listening for the rover over a broad range of times and frequencies using the Deep Space Network (DNS) Radio Science Receiver, but to no avail. NASA will keep trying with its “sweeps and beeps” in the coming weeks and months, but should Opportunity fail to signal home, mission controllers might have to finally and regretfully declare the 15-year mission over. The Opportunity news is sad, but at least Curiosity is still chugging along. There’s also NASA’s InSight to consider, which landed on Mars in late November. The stationary probe should start drilling into the Martian surface in late January or early February. 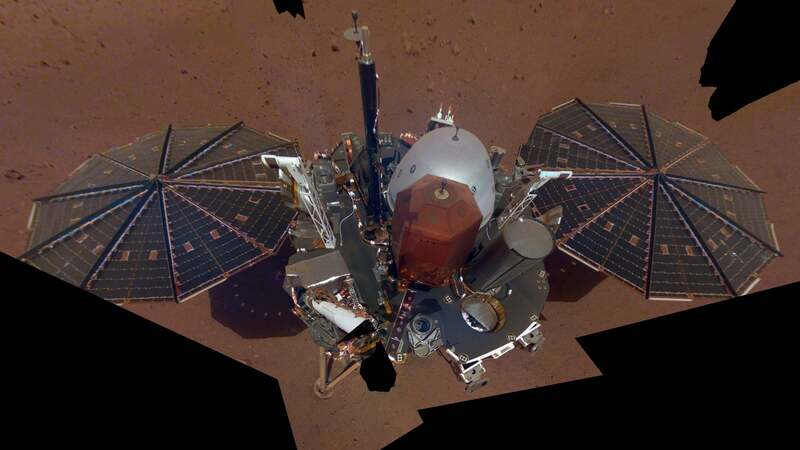 InSight team members will finish deploying the seismometer in January and monitor for marsquakes. Around this time, the probe will use its robotic arm to setup the heat probe. The purpose of the mission is to enhance our understanding of planetary formation and the inner geology of Mars. To that end, InSight will use its instruments to measure seismic activity, temperature, and air pressure. Get ready for increasingly picturesque photos of Jupiter and the Sun, courtesy of the Juno probe and the Parker Solar Probe. NASA’s Juno spacecraft is scheduled for more perijoves in 2019—a perijove being an object’s closest orbital approach to Jupiter’s centre. Juno’s 18th perijove will happen on 17 February and its 19th on 6 April. 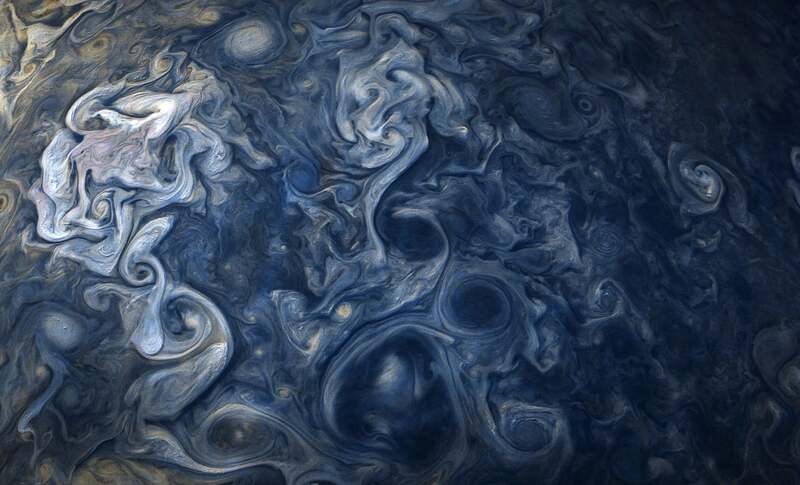 Juno has already provided extraordinarily detailed shots of Jupiter’s cloudtops, but the probe is getting increasingly closer to the majestic gas giant. 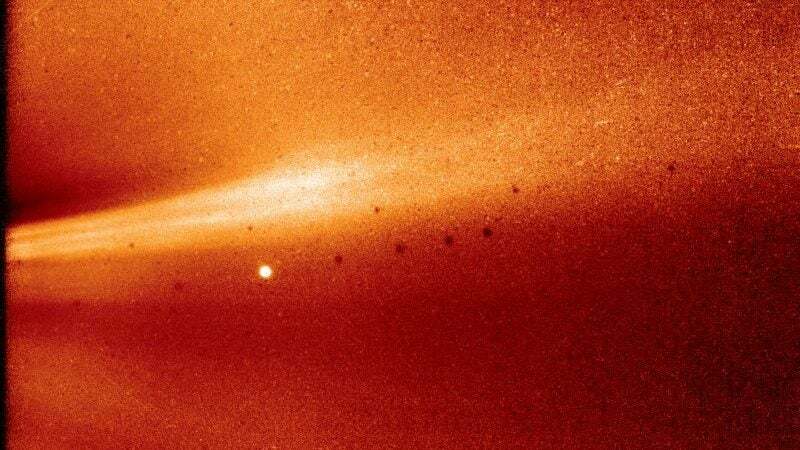 Meanwhile, the Parker Solar Probe will continue on its historic, yet ultimately doomed, mission to “touch the Sun.” Its second and third perihelions—the points at which it’s closest to the Sun during its orbit—are scheduled for 4 April and 1 September. On 26 December, the Parker probe will get its second gravity assist from Venus. These flybys will result in important new data about the Sun, such as the nature of its corona and its ability to churn out solar storms. 16 July 2019 will be the 50th anniversary of the Apollo 11 moon landing. Expect tonnes of media coverage in coming months. A number of events have been scheduled to commemorate this historical milestone, including Apollopalooza 2019 (a celebration at the Rockies Air and Space Museum in Denver, Colorado in the US), the Apollo Celebration Gala at the Kennedy Space Center, and the Summer Moon Festival in Wapakoneta, Ohio. Also, the US mint will release Apollo 50th anniversary commemorative coins on 24 January, which look pretty awesome. 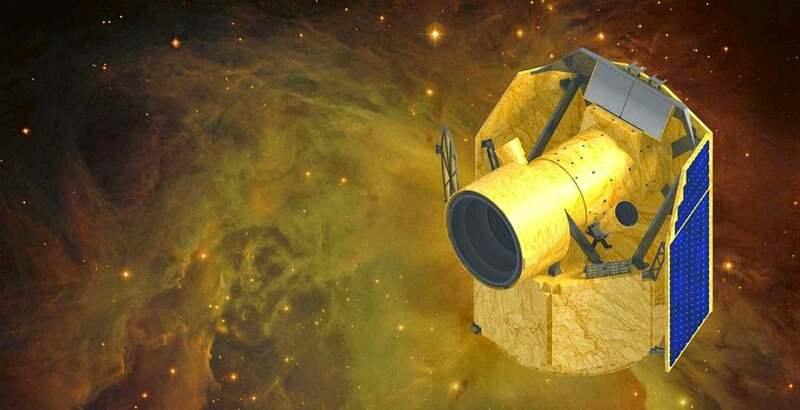 The European Space Agency is planning to launch the CHEOPS space telescope at some point in October or November. Once in orbit, this space-based telescope will hunt for extrasolar planets, particularly those in the Earth-to-Neptune range in terms of size. CHEOPS will lift off from a Soyuz rocket, and settle into an orbit about 430 miles (700 kilometres) above Earth. CHEOPS will use the tried-and-true transit method of detection, scanning stars for signs of exoplanets passing in front of them. CHEOPS was originally supposed to launch in 2015, so this is long overdue. For you sky watchers out there, 2019 will feature some interesting astronomical phenomena. A total lunar eclipse on 21 January will be visible to observers in North America, South America, the eastern Pacific Ocean, the western Atlantic Ocean, and extreme portions of Europe and Africa. On 2 July, a total solar eclipse will be visible to observers in parts of the southern Pacific Ocean, central Chile, and central Argentina. Three full supermoons will happen in 2019: on 21 January, 19 February, and 21 March. Supermoons happen when the Moon is at its closest approach to Earth, making it look slightly larger and brighter than usual. Jupiter will be at opposition, or its closest approach to Earth, on 10 June, at which time it’ll look big and bright. Uranus will do the same on 27 October. On 11 November, we’ll see a rare transit of Mercury across the Sun. This doesn’t happen very often, and won’t occur again until 2039. By applying an approved solar filter to a telescope, amateur astronomers will be able to see the tiny black disc of Mercury move across the backdrop of the Sun. This transit will be visible to observers in eastern North America, Mexico, Central America, South America, and parts of Europe, the Middle East, and Africa.